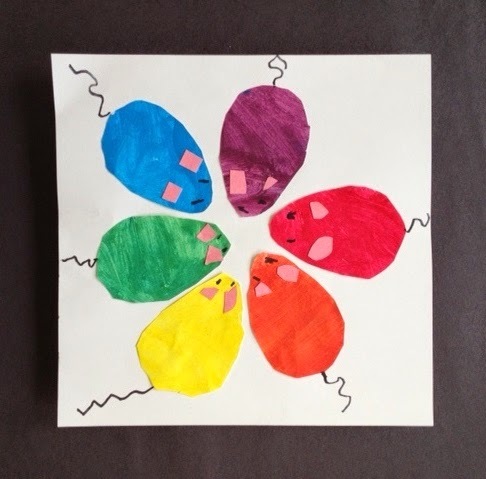 I found this adorable colour wheel idea on Artsonia.com. 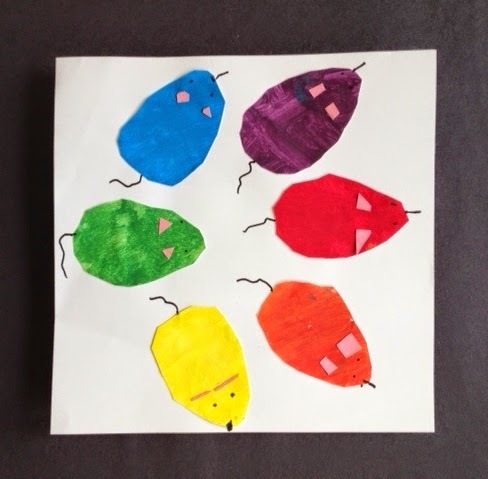 After reading the book Mouse Paint by Ellen Stoll Walsh we created our own versions. We folded a sheet of paper into 6 squares - they do not have to be perfect squares! We then painted each primary colour onto a square and then use our primary colours to mix our secondary colours and painted those on the remaining 3 squares. 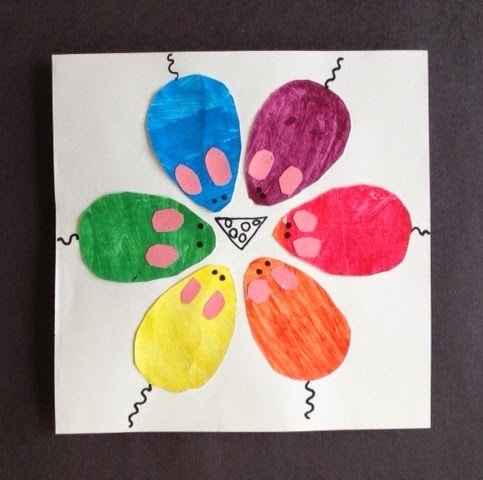 The next day we used tracers on the back side of the painted papers to draw out our 6 mouse shapes. 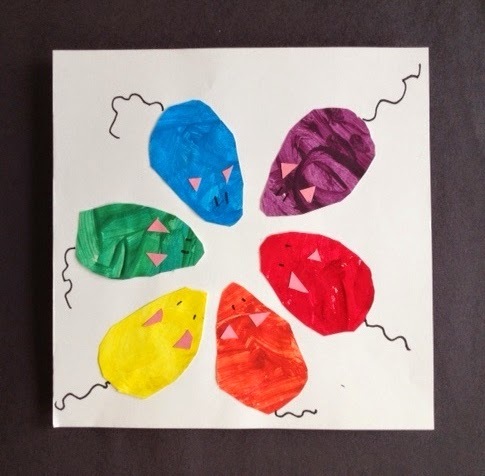 We then glued them in a circle to replicate a colour wheel - all primary colours lie opposite their complimentary secondary colour. 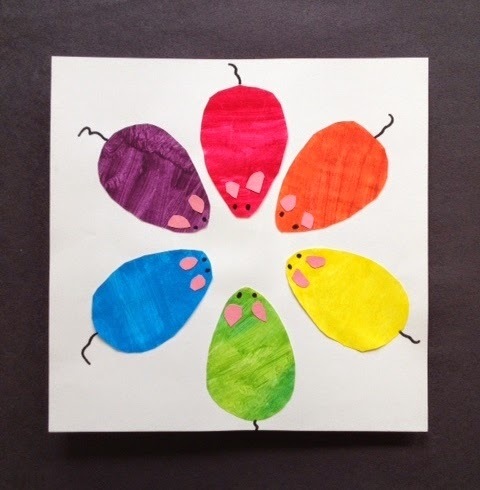 We cut ears out of pink construction paper and used sharpies to add tails and eyes. 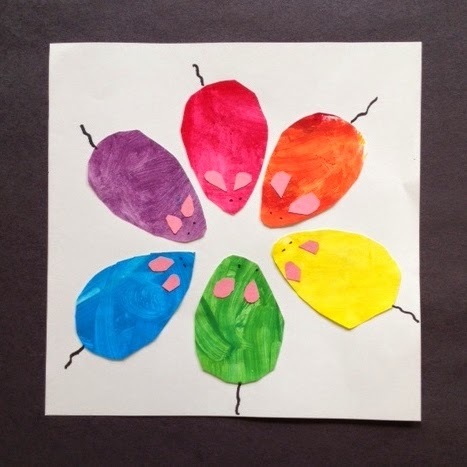 This student didn't follow the directions completely but I love how all the other mice look like they are fleeing the green one! Pretty darn cute! i wonder who or what the green one represents. بكسل، على شاشة عرض 1025 بكسل، أن السيارات يبسط إلى 2 الأعمدة. هذه التقنية تصميم معينة نسميه "تصميم استجابة". الآن يمكنك اختبار موقع الويب افضل شركة تسويق الكتروني بالرياضالخاص بك باستخدام أداة تصميم مجيب.